Tyler has begun the First Grade. September 6th was the first day, and Tara drove him into school since we had a late night (after the Labor Day Bridge Walk) and he has a 45-minute bus ride. We thought that would give him a little more time to sleep in. He was a little nervous, not knowing if any of his friends would be in class or not, be he seems to be doing well so far. 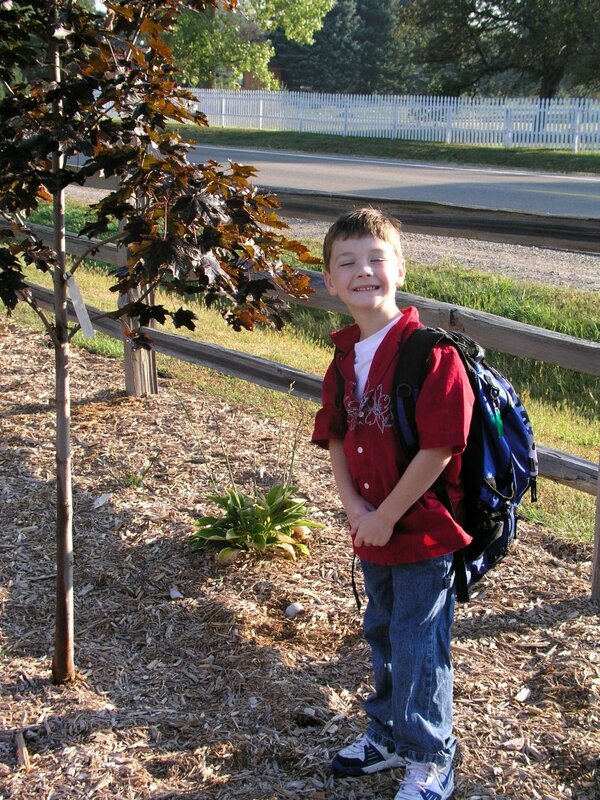 Tyler ready for his first day of First Grade.